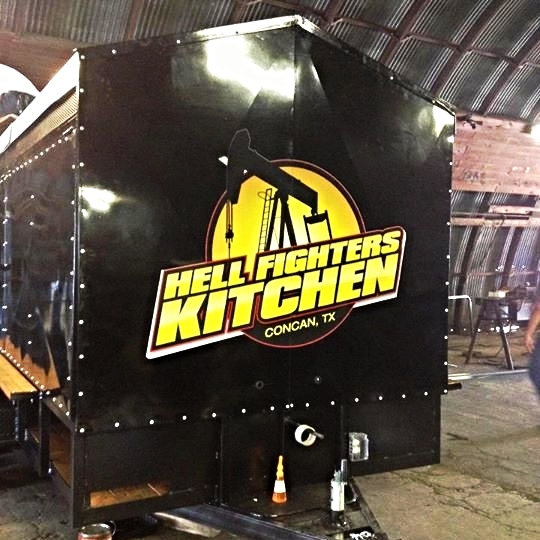 Hellfighters Kitchen is the premier food service company, serving the hard working individuals of the energy industry. Hellfighters Kitchen is the #1 professional, full service, licensed caterer for all of your company's needs. We offer a custom, diversified menu with the highest quality product available. Furthermore, with over 125 years of experience our attention to detail, flexibility, and focus on customer satisfaction are unrivaled. Our proficiency will not only ensure your satisfaction, but prove to exceed your expectations in every aspect. Check out our 24/7/365, premier, professional service options. Hellfighters Kitchen is the most diverse food service company providing for Fracking locations, Oil Well sites, and Lodging facilities. We’re partnered with various high-profile companies throughout the Eagle Ford Shale. The diversity of our partners, and over 300 mile range pays virtue to our flexibility, and ability to get the best product to your crews when needed. Hellfighters Kitchen will be anywhere, anytime to reliably tend to your every need regardless of location and condition.